Amongst the world’s leading vacation clubs, Interval International is a major player in the travel and leisure industry, renowned for offering a considerable network of timeshare products, vacation packages, like-for-like exchanges and other benefits to its members. Interval has more than nearly 40 years experience in making sure their clients find the perfect accommodations for their vacation. Boasting an inventory of accommodations in more than 2,800 resorts in over 75 different countries worldwide, it is no wonder that Interval ranks as the second largest timeshare exchange network, with a 2 million-strong membership. 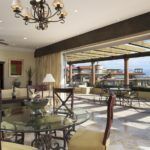 As a vacation exchange service and resort developer, Interval International offers a wide array of leisure and travel products that range from timeshare and fractional ownership exchanges, vacation club points and private residence club services. Subscribers can exchange both timeshare points or weeks for other timeshare units in different locations or even cruise vacations, while non-owner members can rent timeshare properties that have been offered for exchange. In addition, members are afforded special discounts on flights and car rentals, amongst other benefits. Full or short-term Interval members with timeshare weeks to exchange can swap their units for other destinations. If you join on a points systems you can use those points in return for accommodations at one of the 2,800 resorts in the Interval catalog. The key word for Interval is flexibility, making sure that timeshare or point owners can make the most of their vacation investments. On a slightly different note, members can also use Interval’s services to find accommodations for their vacations without having to swap their timeshare or points. 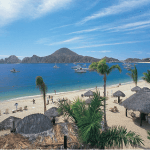 If you want to take a second or third week vacation, Interval has some great deals and discounts, the benefit being that you get to rent spacious accommodations at highly competitive rates. 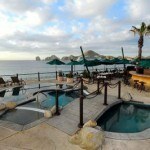 Share the post "Timeshare with Interval International"